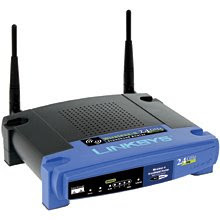 These routers have the power to transmit intangible signals; these signals, powerful as they may be, are prone to constant interference whether it be by physical objects, other signals floating around in the air, or even because you didn’t plug the wire in all the way. Regardless of what the issue, there are some proven ways to try to remedy the situation of a weak Wifi signal. Some may simply be a little bit of common sense, other methods require purchasing additional parts. Here are 8 tips on how to boost your wireless router signal. Unless you are living in a cave and you somehow miraculously have internet connectivity at the same time, you probably figured out that if your wireless router was in the corner of your kitchen under a pile of old newspapers and your computer was located on the second floor on the opposite side of the house — it is a great idea to place your router in an open position (preferably in the center of your house) where it isn’t obstructed by dense or metallic objects such as file cabinets or brick walls. Other items that may interfere with your signal include (but are not limited to) microwave ovens, cordless phones, garage door openers, and even baby monitors. The bottom line is that the less objects in the signal’s way, the easier it is for it to relay information to your computer. Generally, Wifi routers transmit their signals on a radio frequency of 2.4 GHz. Many other household objects may operate on or around the same frequency, like cordless phones, for example. So, the channel becomes bogged down over time with lots of excess traffic that slows down your wireless connection. 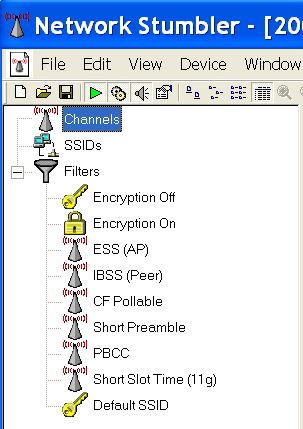 In the U.S., routers have a predefined set of 11 channels, and the default on a lot of them is channel 6. Changing the channel would reduce some interference. So how do you change the channel? Since the default for most people (at least in the United States) is 6, you may want to change your channel to something like say, channel 11. Take note that the changing of your wireless channel will NOT in any way increase your speed or bandwith. It will simply remedy your network connection if it keeps breaking off or getting lost. Updates, whether related to the router firmware or your computer’s network adapter are done to fix bugs, smoothen out performance and reliability, and maybe even add new features. It is always a good idea to stay up to date with the latest releases by either of these parties. Tim suggested using RadarSync to easily automatically update your computer’s drivers at once. Compatibility can be a big problem, especially for two way transmissions. It may help to purchase your adapter and your router – everything, from the same company. Aside from that, some companies have embedded enhancements that improve speed or signal strength when everything is under the same brand. Most routers come equipped with something called an omnidirectional antenna. This means that the antenna attached to the router broadcasts the signal equally within a certain circular radius. This is great if the router is positioned in the center of a hub where it needs to be able to reach ever corner of a room, but it can prove to be extremely wasteful if your router is in the corner (then again, why would it be there in the first place?). Since the signal is transmitted in a radius, if you place it in a corner, a lot of the transmitted signal is sent into the wall or outside into the open. That is why you can manually detach your antenna and replace it with a high gain antenna. This focuses its energy to direct the signal in one general direction. Simple enough? You may have to check and see if your router has an external antenna jack/removable antenna. Since this is a two-way transmission, it may not have occured to you that it may not be the router that is the problem, but actually the wireless adapter attached to your computer. If your computer cannot send signals back to the router, the same problem ensues. What is an adapter? It used to be the card that you inserted into your computer or laptop. These days, most of the adapters are in the form of USB devices. 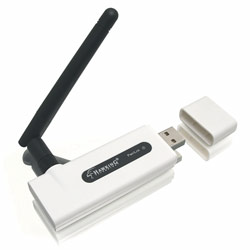 Consider switching to a USB adapter that houses an external antenna, like this one depicted below. This is usually only applicable to desktop computers. If you purchased a laptop that has a built-in adapter, it probably isn’t your adapter because they are usually very high quality installations. If all else fails, you may need to purchase a repeater or a secondary Wireless Access Point. The consensus among these two options is rather mixed. Constructing a secondary WAP requires the ability to feed an ethernet cable from your primary router to the new access point. There are also cost considerations to be aware of, as WAPs cost more than regular wireless routers. Even so, WAPs have certain flexibilities that normal routers do not have. They can be configured as gateways, bridges, clients or repeaters. But that’s another story. The bottom line is that the WAP is an extension of the original hub in order to extend the distance of the signal. The repeater works the same way. Apparently aluminum foil amplifies reception and transmission. It may or may not work, YMMV. A little bit of background: You may have seen 802.11b or 802.11g written somewhere on your router – these are merely wireless LAN standards that the particular router adheres to. The main difference between these is that 802.11b has a maximum data transfer rate of 11 Mbps, whereas 802.11g has a much higher 54 Mbps rate. With that being said, there is no way to improve data transmission or bandwith outside of hardware applications and upgrades. The tips mentioned above are meant to help you solve the problem of an interfered or weak signal. These may or may not work for you, but there is a strong correlation between troubleshooting and success rate. Have you any other tips to help strengthen a weak signal? Has changing channels made a big difference for you? Tried attaching aluminum foil to your router’s antenna? How did that turn out for you? Share your experiences in the comments!